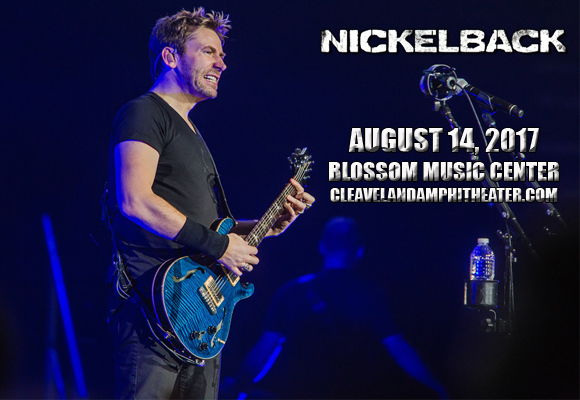 Chart-topping Canadian rockers Nickelback will be coming to Blossom Music Center on Monday 14th August 2017 as part of their colossal Feed The Machine Tour! The band will be performing 44 dates on the trek, which promoted their June album, and lead single, of the same name, so fans can be sure to expect some brand new songs performed LIVE! Joining them will be special guests Daughtry and Shaman’s Harvest! Canadian rock band Nickelback was formed in 1995, and currently consists of guitarist and lead vocalist Chad Kroeger, guitarist, keyboardist and backing vocalist Ryan Peake, bassist Mike Kroeger, and drummer Daniel Adair. After signing to Roadrunner Records in 1999, the band made it big with 2001's Sunny Side Up, which featured the single “How You Remind Me”. Billboard ranked the single as the fourth best-selling song of the decade, and the best-selling rock song of the 2000s, and it reached number one simultaneously in Canada and America. To date, the band's most commercially successful album is 2005's All The Right Reasons, which had 3 top 10 singles and 5 top 20 singles on the Billboard Hot 100, including "Photograph", "Far Away", and "Rockstar".